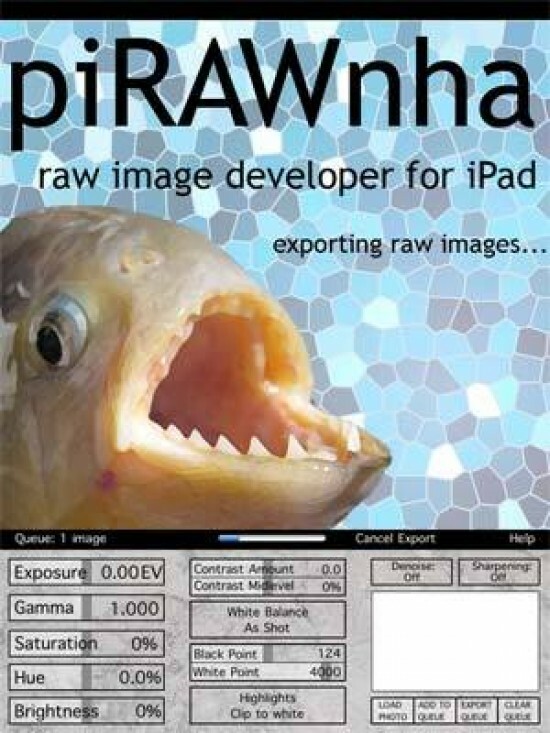 piRAWnha is the first RAW image developer for the iPad. In piRAWnha, the raw data can be edited and once the settings have been optimized, a high?quality JPEG image file can be exported to the Photo Library. Currently, piRAWnha supports raw images transferred to the iPad with the Apple iPad Camera Connection Kit. piRAWnha works with all raw files supported by Apple. There is a new app for photographers eager to develop and process raw images on an iPad. The iPad allows users to view the JPEG thumbnail image embedded in the raw image file, but cannot process the raw data itself. To take advantage of this capability, Cypress Innovations has launched piRAWnha, the only app to enable raw processing on the iPad. Currently, piRAWnha supports raw images transferred to the iPad with the Apple iPad Camera Connection Kit. In piRAWnha, the raw data can be edited and once the settings have been optimized, a high?quality JPEG image file can be exported to the Photo Library. piRAWnha, the first raw image developer for iPad, is a true companion for the serious photographer.